Trilogy Machinery is pleased to be the Exclusive North American distributor for SweBend Bending Rolls. Perfectly matched to your requirements… No two bending applications are the same: depending on the section size used and the material composition, we adjust the number of axes to your individual bending requirements. You may also choose the number of rolls since our section bending machines are available with three or four bending rolls. No matter if your profile is flat stock, angle iron, beams, T’s, channels or special sections our SB-series enables you to process sections in the most diverse designs and dimensions possible. Equipped with the strongest bending forces available on the market today, the SB-series forms particularly difficult sections with ease. This is made possible in part through the extremely stable frame construction. 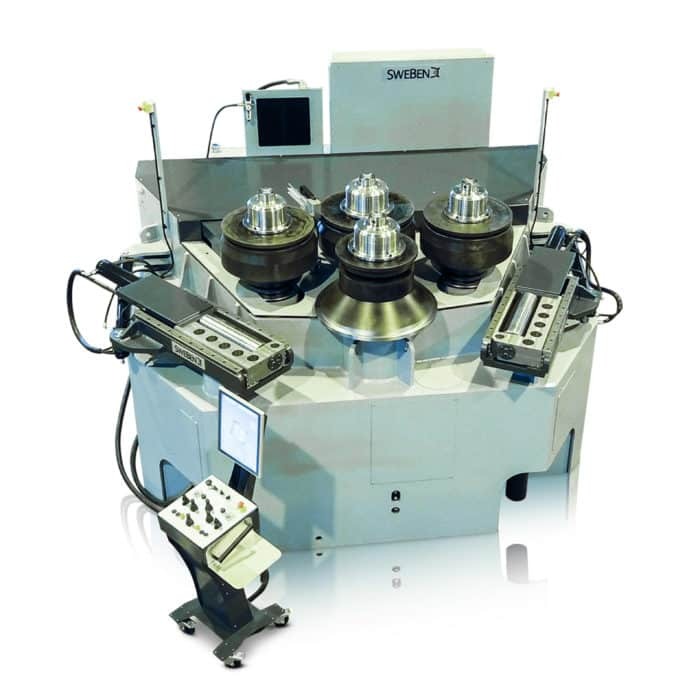 Equipped for the most diverse bending tasks… The SB-series is designed to be easily adaptable to virtually any application or requirement since we can expand the standard SB machine with additional equipment. There is a large selection of labor and time saving accessories available. We can optionally equip the SB machines with a rotating device, units for three-dimensional forming or a bending mandrel for small diameters. We also offer advanced CNC systems for applications that need more than a standard digital readout. The performance of a profile bending machine is measured by the resistance of the cross-section of the profiles it can successfully roll which is known as section modulus and is expressed in square inches (IN2). Information about the bending resistance of structural sections can be obtained from manufacturer’s catalogues, handbooks or suppliers. Our advice is to pay special attention to off center sections, as there is often no data about these profiles. 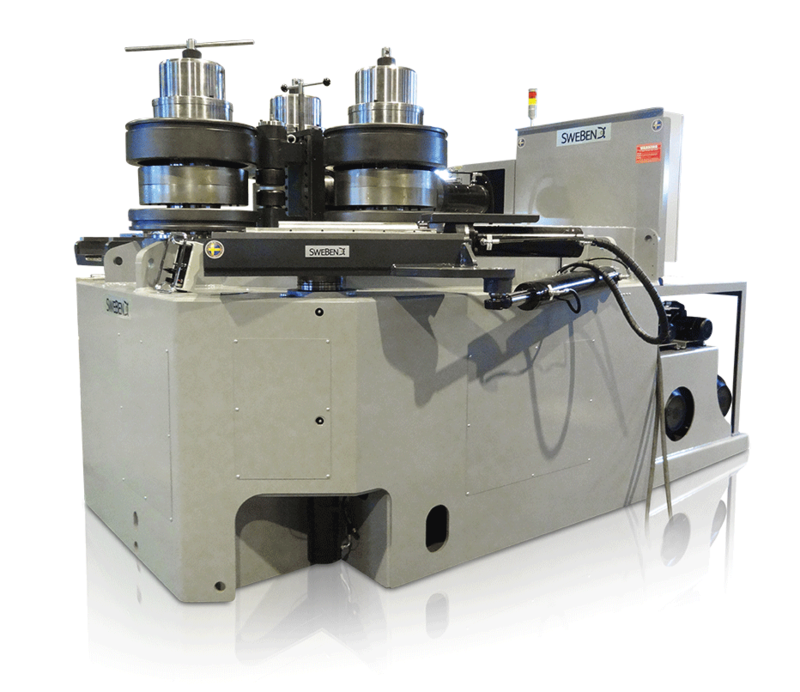 The bending resistance of your profiles is the ideal criteria used to specify the correct machine size.